The jerasure v2 branch is merged into the v2-ceph branch. M-x magit-status shows the conflicting files. 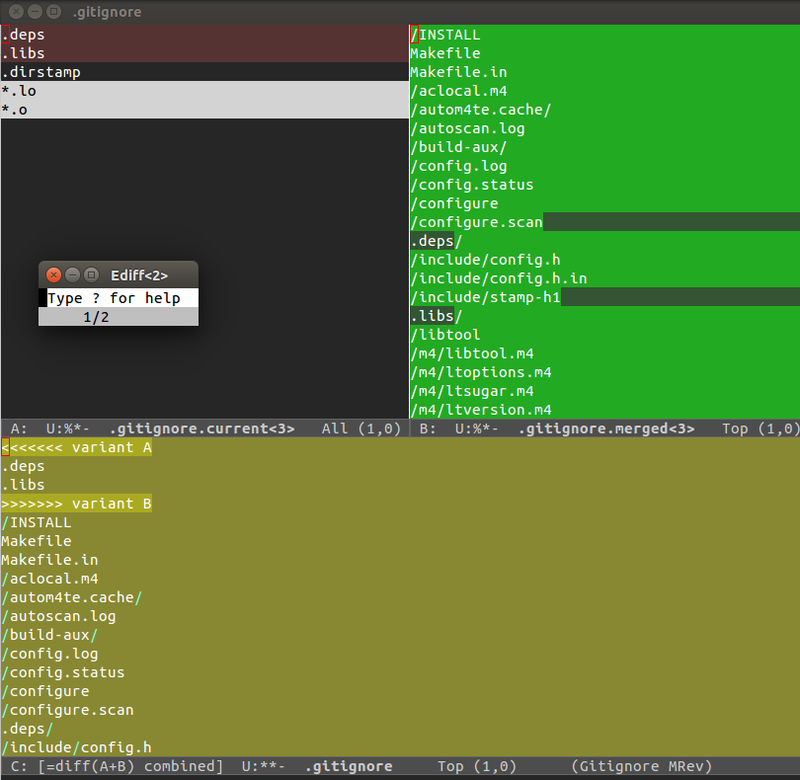 Typing e on the Unmerged commit opens the ediff merge window. 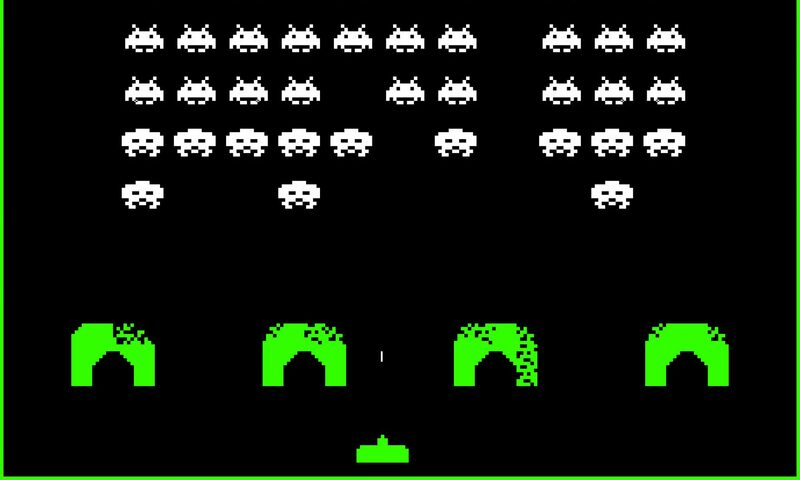 Typing b or a choses which side of the conflict wins. The file can also be manually edited. 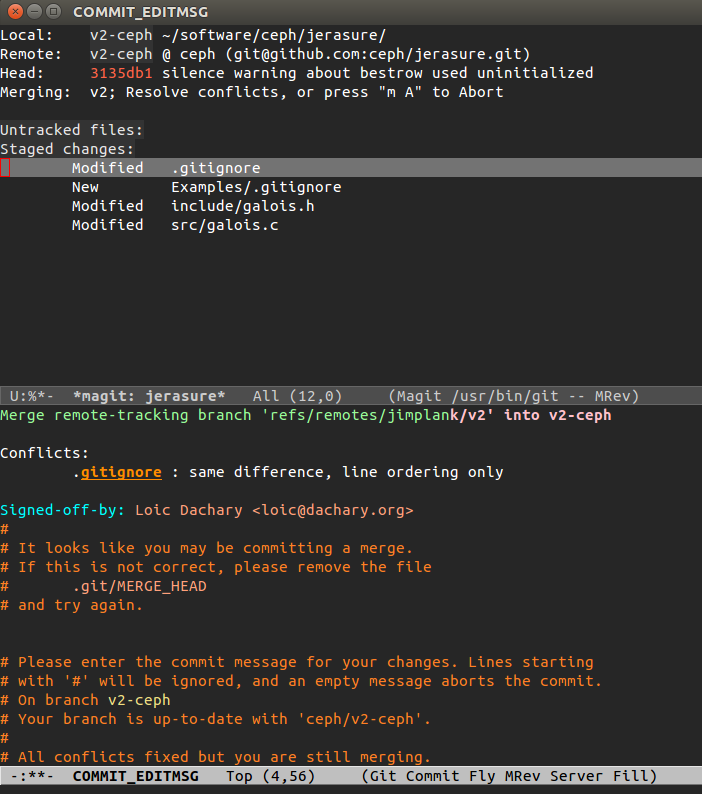 After resolving the conflict, back to M-x magit-status and s on the Unmerge line will stage the result. Committing with c c prompts for a commit message prepared with the list of conflicting files and a relevant comment can be added explaining how the conflict was resolved.